MARETT CREATIVE LIMITED HAS CEASED TRADING. WE ARE CURRENTLY BEING ASSISTED BY LAURENCE RUSSELL OF ALBERT GOODMAN LLP IN PLACING THE COMPANY INTO LIQUIDATION. CG Animation for GP Batteries Xmas 2017 commercial. We created ‘Len and Joan’ a loveable, happily married, cheeky couple. These new brand characters set off the tone and values of Express Stairlifts. Friendly, approachable and willing to help. Mascots: The most influential people who never lived? Brands have personalities and reputations. A company’s brand is an important asset that deserves careful thought and attention. Many brands have opted to entrust their reputation to celebrity endorsers. Yet, recent successes have reignited marketers’ interest in mascots. These fictional ‘celebrities’ who are tailor made to connect with the consumer. Marketers are increasingly excited by the influence that mascots can exert on consumers. Mascots are an important tool for humanising large corporations. Companies operate globally. Consumers shop online. They are less and less likely to visit a physical retailer; when they do, many of these retailers are international chains. There is a disconnect between buyer and seller. A friendly mascot can reassure consumers that the corporation is trustworthy. Mascots help marketers to tell stories. These stories foster a strong relationship between the brand and the consumer. Mascots are also useful for businesses. Managers in large corporations use mascots to help educate and motivate their employees. Mascots reflect the organisation’s history, attitudes and values. They help to communicate these to workers across different regional and international offices. Mascots are helping to change the public’s perception around advertising. Many consumers see traditional marketing as vulgar and dishonest. TV commercials are an irritant. Tech-savvy consumers use programmes to avoid pop-up ads. Marketing needs a new approach to engage with the public. 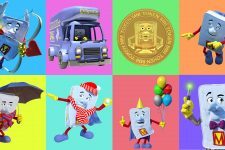 Creative use of mascots by smart marketers can excite consumers. They want to learn about the fictional characters and the brands they are promoting. The use of a distinctive and memorable mascot to make the brand that they promote more likeable. Consumers can form deep and meaningful relationships with these characters. Mascots are comparable with the best characters in fiction. This is a bold claim; yet, there is some truth to it. An effective mascot is recognisable. Much work goes into creating an effective mascot and mascot driven marketing campaign. TV commercials and social media can tell a story about a mascot’s life, goals and motivations. Well crafted adverts, Facebook posts and Tweets draw consumers into the mascot’s world. This allows marketers to create beloved characters and memorable stories. The brand that they are promoting is often made to appear to be an afterthought. Yet, the brand becomes associated with the character’s positive attributes. This builds brand equity. Many successful mascots take the form of an anthropomorphic characters or animals. Examples include the rotund Michelin Man or Duracell’s Energizer Bunny. Recently, Compare the Market have had unprecedented success with their mascot Aleksandr Orlov. Compare the Market is a UK based online aggregator of car, and other, insurance quotes. It was the fourth largest in a competitive insurance sector. It is now the market leader. The meerkat has an ever-expanding supporting cast of friends, family and antagonists. The narratives have become increasingly complex. He has helped the company, to differentiate itself from the competition. It has been one of the most talked about marketing campaigns in the UK. The TV commercials have even coined a new word; ‘Simples’. This now appears in the Oxford English Dictionary. Very few real celebrities can hope to have this sort of impact. Aleksandr has had an undeniable influence on popular culture. 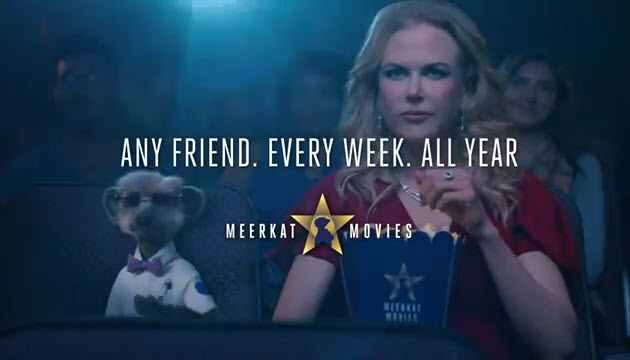 The meerkat’s cheerful demeanour hides the clever use of marketing theories. The meerkat is a sentry; a reliable watchman who looks out for his group and warns them of danger. Compare the Market assumes these characteristics for their brand. They are saying that they will act as a protector and look after the consumers’ interests. Other marketers have used anthropomorphic animals to promote their brands. Mascots inspired by dogs inspire feelings of companionship. Mascots inspired by horses invite associations with virility and masculinity. Red Bull’s brand and mascot draw one associations that consumers have about bulls; strength, power and endurance. Anthropomorphic animals communicate practical and emotional associations that wise marketers can draw upon. Yet, turning their character into a long-term, effective marketing campaign is less straightforward. Social media has changed how consumers interact with marketing. 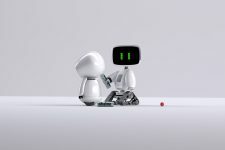 A loveable mascot in and of itself is no longer enough to attract consumers’ attention to a brand. Humorous, well-developed background narratives are essential to draw consumers in. They fuel their interest in the characters and, by extension, the brand and its services. Compare the Market have created an extensive backstory for their meerkat characters. Consumers can explore this imaginary world across a mixed media marketing campaign. The meerkats have a presence across through social media, magazine and TV advertising. 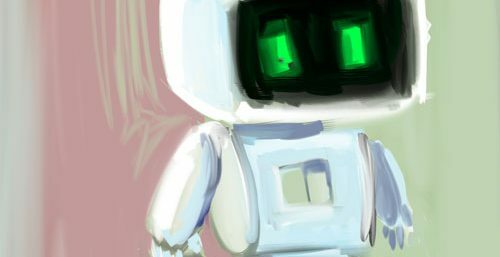 Aleksandr has his own Facebook and Twitter pages. Consumers seek out his adverts on Youtube. Compare the Market have also extended their brand through spin-off products. They ghostwrote an amusing ‘autobiography’ for Aleksandr. The company has also produced soft toys in the shape of their animal characters to give to customers. Mascots have flipped modern adv-ertising conventions on their heads. Compare the Market does not pay high charges to maintain it’s position on search engine results. They do not need to pay for generic terms such as ‘affordable car insurance,’ or ‘car insurance deals’. The company bypasses this bidding war and focus on far less expensive terms. Now, they focus on cheaper terms such as ‘meerkat’ and ‘simples’. The success of their TV commercials allowed them to restructure their advertising costs. They have been able to create efficiencies because they had differentiated their brand. Other insurance brands have attempted to win back their market share. They have employed their own quirky mascots. Go Compare have used a rotund and irritating opera singer. Unfortunately, they have been unable to build a similar level of public engagement. Have celebrities met their match? Some researchers and industry insiders question the future of celebrity-led advertising. Researchers have concluded that celebrity endorsement have a negative impact on a brand. Many celebrities appear across many different marketing campaigns. Their ubiquity diminishes consumers’ interests in the products they are endorsing. This phenomenon becomes more problematic when social media product placement is considered. A recent study considered the impact of product placement on Instagram. 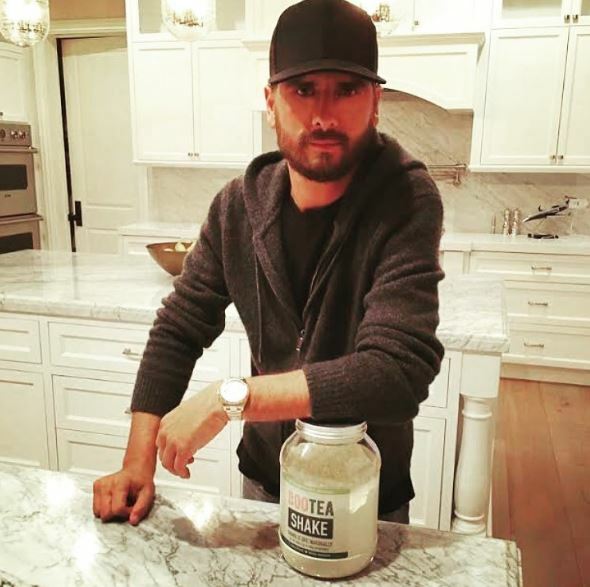 They studied consumers’ reaction to product placement on TV personality Scott Disick’s social media. It found that consumers were ‘bored and annoyed’ by celebrities’ blatant product endorsements. Recent research has compared the effectiveness of brand mascots and celebrities. To build the credibility of their mascots, marketers need to promote them. Consumers may get bored by a celebrity’s blatant promotion. Yet, they are intrigued by the storytelling and scenarios that marketers can weave around their mascots. Consumers enjoy finding out more about these characters. They want to engage with them through TV commercials, social media and related products. In some respects, consumers see mascots as more ‘real’ than human celebrities. The reason why celebrities are falling out of favour lies in the fundamentals of advertising theory. A phenomenon known as ‘source congruence’ governs the relationship between a brand and a celebrity endorser. This refers to how well the character traits associated with a celebrity match the personality of the brand that they are endorsing. The endorser needs to have a credible relationship with the brand. A beautiful socialite is not an appropriate spokesperson to market a hardware store. Consumers struggle to see the link between product and promoter. It is easy to use celebrities to promote products such as cosmetics or luxury clothing. Yet, celebrities can be less well suited for promoting more utilitarian brands. Marketers design and shape mascots to match the brands that they are promoting. There will always be a high level of source congruence between a mascot and their brand. Celebrities do not have this level of flexibility. The nature of celebrity endorsement has changed in recent years. Marketers may pay $10,000s for a celebrity to endorse a product via their social media account. This can work the other way too. Some brand managers pay celebrities not to wear or use their products online or on screen. They believe that some celebrities’ association with their products would damage the brand. A mascot has an advantage here. The marketer can exercise complete control over their creation’s social media presence. They will always be on message. Additionally, brands must be conscious that the image of a celebrity can change. A celebrity who, perhaps through some scandal, is viewed very differently by the public may no longer be a suitable front-person for a brand. Brand managers are criticised for not supporting their celebrity endorsers during difficult periods. But the mismatch that can result can damage source congruence. This will then impact on consumers’ perception of a brand. Even without a scandal, many celebrities are poor role models for children. Compare the Market is continuing to innovate. Marketers now integrate their mascot and celebrity-driven marketing into a single campaign. This allows them to draw together the benefits of both approaches. Arnold Schwarzenegger and Nicole Kidman have recently appeared alongside Aleksandr. These high-profile actors have become part of the meerkat’s developing narrative. As Aleksandr becomes more famous, his adventures have become more complex. Consumers will keep watching to see where he will end up next. Combining mascots and celebrities avoids the dangers of relying on famous names. The mascots provide continuity for the consumer. They don’t become bored with the celebrity as they have a familiar vehicle to see them interact with the brand. The celebrity can be replaced without damaging the brand. Here, the mascots act as a firewall between the celebrity and the brand. This ‘mixed’ approach is a clever way of getting the best out of both mascots and celebrities. Other marketers will seek to replicate this approach. Consummately professional, incredible CGI production and graphics, flexible, insightful and unbelievably helpful from concept to completion... Absolutely no hesitation in recommending Marrett Creative Limited.